Inspired by recent Netflix-style documentaries, ‘Finné’ is a brand-new home-grown documentary series commissioned by TG4 featuring the human side of big Irish stories that have made the headlines over the past 50 years. Filmed over 12 months by Galway’s Magamedia and presented by RTE’s courts correspondent, Orla O’Donnell, ‘Finné’ revisits gross miscarriages of justice that have taken place in Ireland in the recent past. Through riveting first person testimony, the TG4 Original Production recounts intimate stories of triumphs and traumas, of Davids and Goliaths, of dogged resilience and human frailties. Produced and directed by Paddy Hayes of Magamedia, whose previous work includes ‘Snáithe’, ‘EIPIC’, ‘Corp + Anam’, this 8 x 60 minute original production promises a gripping and rare insight into these high profile cases as told through the eyes of those still bearing witness and living with the consequences. 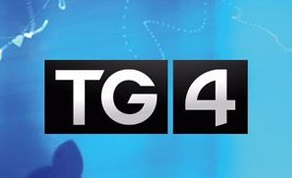 It reinforces TG4’s reputation for fresh, bold programming featuring extraordinary stories. Finné will debut on Wednesday, September 5th at 9.30pm for 8 weeks on TG4. EP 1: Martin Conmey re-visits his conviction for the manslaughter of Una Lynskey in 1971 and his subsequent fight to clear his name. EP 2: Gail O’Rorke re-tells how she was charged with the assisted suicide of her best friend Bernadette Ford in 2016. EP 3: Peter Mulryan recounts his upbringing in the Tuam mother and baby home and his subsequent quest to find his mother which led him to Galway’s Magdalene laundry. EP 4: George Stagg remembers the bizarre events surrounding the government’s hijacking of his brother Frank Stagg’s body in 1976, after his death on hunger strike. EP 5: Ann McCabe brings us back to the events surrounding the murder of her husband Jerry McCabe in Adare in 1996, and her subsequent efforts to bring his killers to justice. EP 6: Louise Hannon relives her experience of transitioning from male to female and her efforts to take a case against her employers in 2011 on discrimination grounds. EP 7: Pat Wallace recalls the heady days of the Wood Quay saga in 1979 when as chief archaeologist, he had to overcome the public outcry and appease the council authorities whilst still managing to excavate the site before construction took place. EP 8: Osgur Breatnach re-visits his nightmarish conviction for the robbery of the mail train at Sallins, and his subsequent efforts to quash the conviction.